Rory McIlroy opened and closed with a brace of birdies for success over Luke List by 5 & 4 on a winning start to the WGC-Dell Technlogies Match Play. 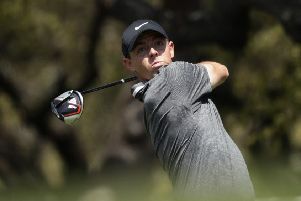 “I had to sort of play really well from the get-go,” said McIlroy on the PGA Tour website. “Luke holed a 20, 25-footer on the first for birdie and I had to follow him in. “He hit a wedge shot into, like, 10 feet at the second, I had to follow that good shot. “Even from the get-go I needed to respond a little bit to what he did, and I feel like I did that pretty well. 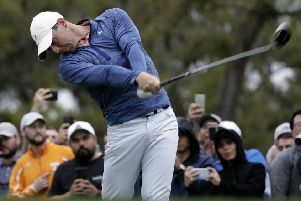 McIlroy’s European Ryder Cup colleagues also enjoyed early joy at Austin Country Club, with Alex Noren the only member to suffer defeat. Spain’s Jon Rahm enjoyed the biggest winning margin, with a 7&5 thrashing of Si Woo Kim, while compatriot Sergio Garcia beat Shane Lowry. There were also wins for Tyrrell Hatton, Paul Casey, Ian Poulter, Henrik Stenson, Justin Rose and Thorbjorn Olesen after Tommy Fleetwood had got the ball rolling with a 3&2 win over Byeong Hun An and Francesco Molinari thrashed Satoshi Kodaira. McIlroy will now face South Africa’s Justin Harding today before tackling Matthew Fitzpatrick tomorrow.